Paris, October 2017 - Le Cordon Bleu, the leading Global Network of Culinary Arts and Hospitality Management Institutes, announces the creation of an Advanced Culinary Techniques programme, taught over 5 days (35 hours of training). 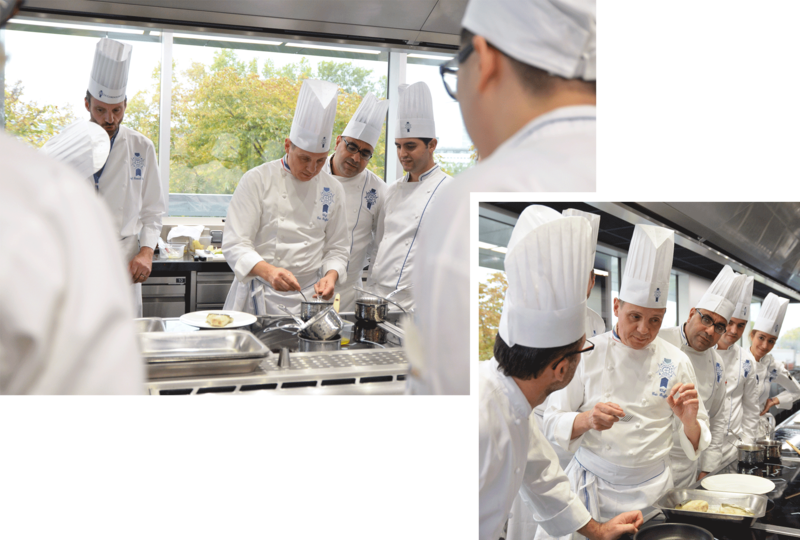 With this new training programme, Le Cordon Bleu once again demonstrates its expertise and ability to provide innovative educational courses, in line with current trends and the way in which gastronomy is evolving. The programme, created in its entirety by Le Cordon Bleu Paris institute’s academic Chefs team, enables participants to discover and learn to master the modern technology used in the restaurant sphere today. This programme is aimed at Culinary Arts graduates, or those with 2 years of professional experience, who are keen to strengthen their skills in modern techniques and perfect their expertise in the Culinary Arts, in order to keep up to date with market trends. Each class, practical workshop and theory, is taught in French (translated into English) at Le Cordon Bleu Paris institute. The workshops are led by Michelin-starred Chef, Éric Briffard, One of the Best Craftsmen in France (Meilleur Ouvrier de France - MOF), Executive Chef and Culinary Arts Director at the Institute, and his team. They take place between 8am and 12pm and 1pm to 5 pm every day over a four day period. The fifth day is dedicated to a programme review of each of the techniques covered and personalized evaluation with Chef Éric Briffard.